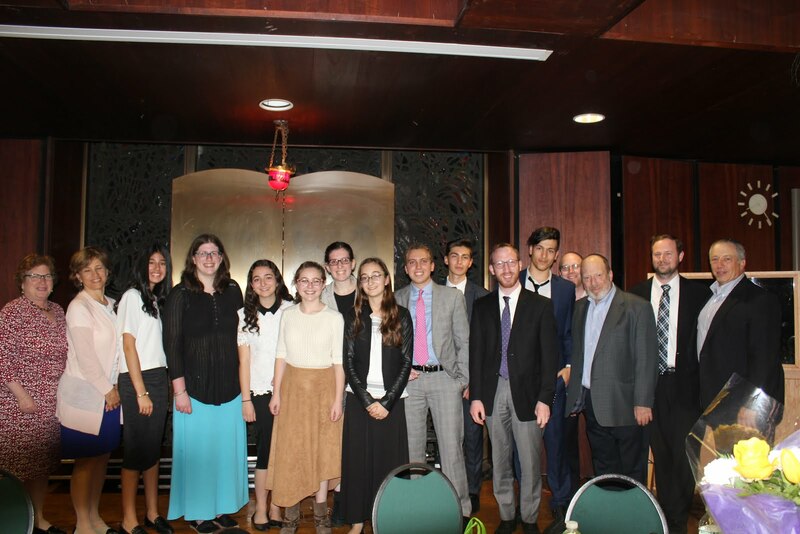 On Wednesday, May 10th, over thirty college representatives joined the junior class and their parents at Yeshivah of Flatbush Joel Braverman High School for an informative and interactive program. 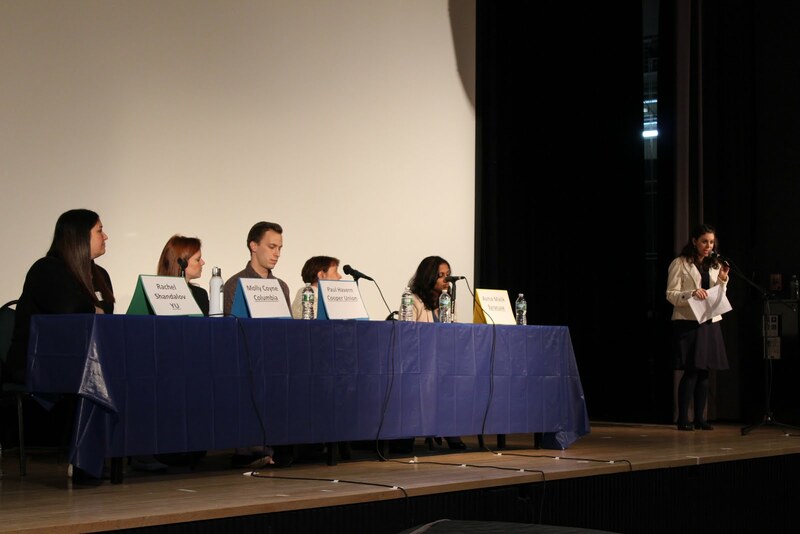 The first portion of the evening began with a panel of five schools, each of whom presented helpful tips about applying to college and what colleges are looking for. Some of the topics covered included college essays, visiting campuses, testing, and letters of recommendation. 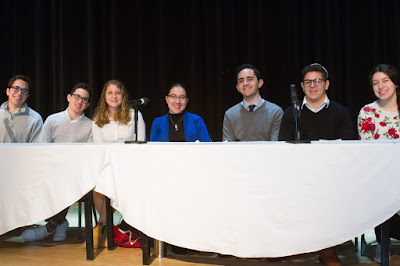 Panelists also delved into the nuances of the college process, enabling students and parents to gain a better sense of what to expect next year. After the panel, families went to the gym where they had individual conversations with the admissions reps from 30+ colleges. Students and parents were able to make a personal connection and obtain contact information for many of the people who will be reading their applications. 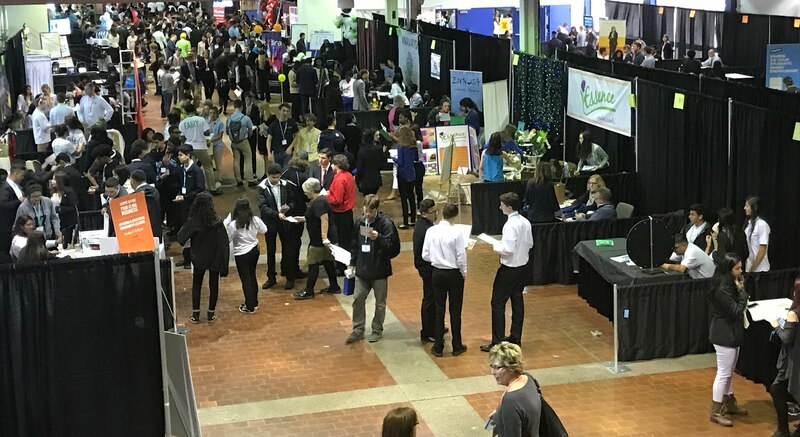 The College Night and Fair allow families to take a significant step toward finding the right college for each unique student. 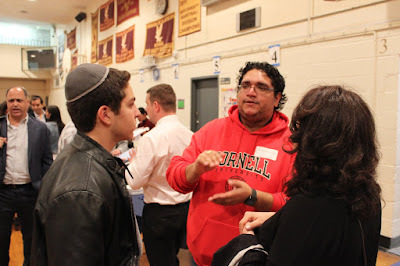 During the college fair, students asked questions specific to their needs and interests. As they learned more about the offerings at particular schools, their college list expanded to include ones they hadn’t been considering previously. At the conclusion of the evening, students and parents agreed that the program surpassed their expectations and was extremely valuable and worthwhile. 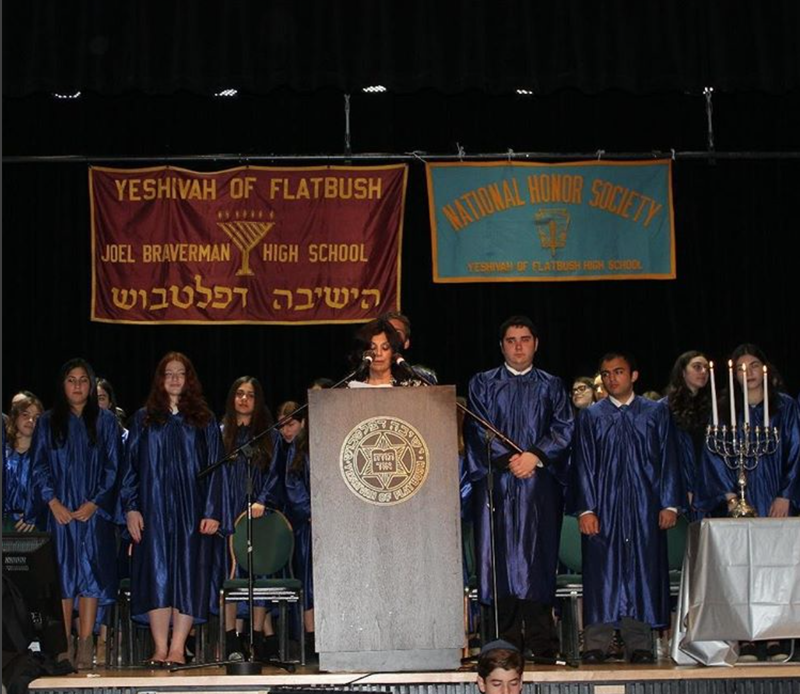 On Friday, May 26th Yeshivah of Flatbush Joel Braverman High School honored students for their academic excellence in the annual National Honors Society Induction Exercises. This year, senior Samantha Chabot was awarded the Ahavat Yisrael Award in honor of Rabbi Amnon a"h and Mrs. Dinah Haramati. The NHS program is a great way for us to recognize the hard work and effort our students put in over their years of high school to succeed academically. Recently the Yeshivah of Flatbush Joel Braverman High School had the opportunity to celebrate the amazing work of our STEM and Robotics students. 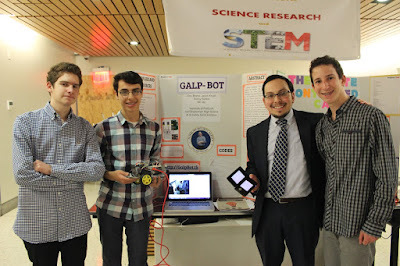 Our annual STEM Showcase featured presentations by students from the 9th, 10th and 11th grades. Some of the highlighted work included apps designed by our AP Computer Science Principles students, a live demonstration of the robots built by our Robotics class and team and projects designed by our STEM students. Imagine a self-lacing shoe, a robotic car taking videos of hallway activity (that sends images directly to your phone) or a robotic hand designed to communicate sign language. 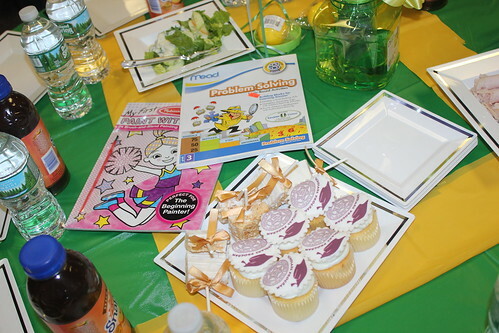 These were a few of the projects showcased at last week's event. This year our program also included an innovation workshop. 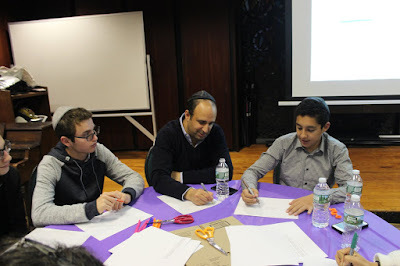 Parents and students had the opportunity to share in the design thinking process. During three quick rounds, groups had to come up with multiple design concepts for a chair tailored for a specific person, with specific detailed needs. Each round groups were limited to just a few simple materials to imagine their design concepts. It was amazing to see the 'out the box' thinking and amazing designs of those who participated. Collectively, we realized that too often our imagination and creativity is stunted by constraints (be they theoretical or practical). Well done to all our students for a tremendous year of creativity, imagination and ideation! 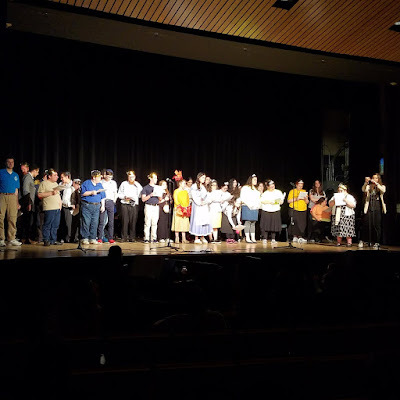 On May 2nd Yeshivah of Flatbush held its annual Spring Concert, where students have the opportunity to show of their musical talents in front of their peers. This year's spring concert was truly amazing! It was run by seniors: Michael Goldstein, Ikey Benzaken, Michael Catton and Eldar Fachima. 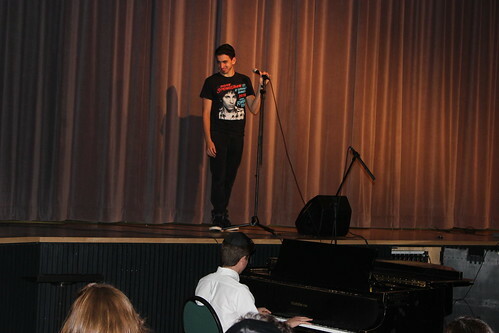 We had great performances and the Flatbush students showcased their talents extremely well! 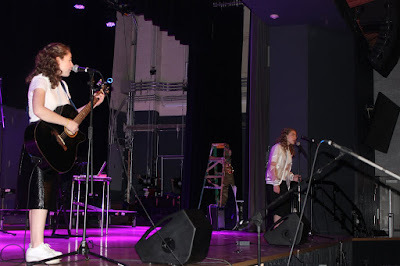 Some of these performances included a Chainsmokers medley with Jessie Fallas, Michael Goldstein, Ikey Benzaken, Odette Ades and Jeffrey Zalta and a comedic performance in which Sarah Horowitz and Grace Sutton did a Karaoke to "Bop to the Top." 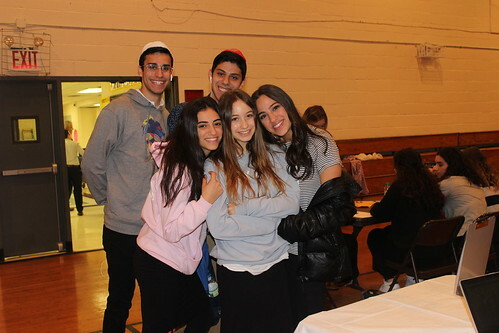 The concert would not have been a huge success without the help of the AV squad which consisted of Joey Berkovitz, Abe Madeb, David Azrak, Joe Braha, Yair Chaya and Jacob Khalili. Huge thanks to them and also to the faculty advisor Ms. Lamm. 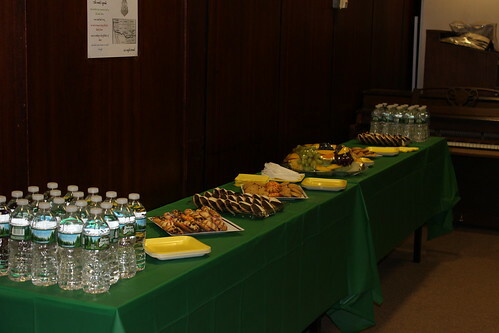 The Blumenthal Scholars Program held it's annual student project presentation dinner on Wednesday, May 3, 2017 / 7 Iyar 5777. This program, sponsored by the Blumenthal family in memory of May and Bernard Blumenthal, a"h, provides support and guidance for students who wish to pursue personal academic ventures in various areas of study. Students are paired with faculty mentors, and often consult with professionals in their chosen fields, in order to develop projects geared towards collegiate and career-oriented goals. This year's cohort included nine presenters with a wide range of topics, including advertising, technology, art therapy, business, women's history, writing, fashion and law. 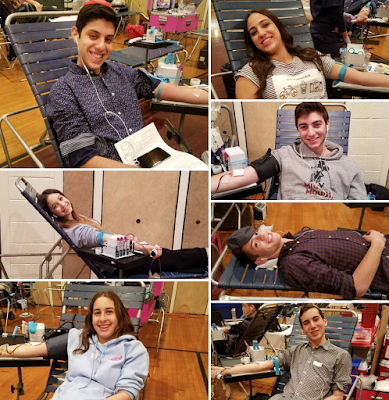 The students were Danielle Duchan, Ezra Faks, Aida Hasson, Claire Lessler, Isabel Lin, Nathan Marcus, Estelle Saad, Yaron Sternberg and Renee Waingort. We are proud of our Scholars and know they will follow this achievement with further success. We also excitedly look forward to building next year's cohort in this valuable program. Thank you to Mr. Brian Katz for directing this program and mentoring all of our student scholars. Yeshivah of Flatbush Joel Braverman High School held its annual Archon Induction Exercises on May 19, 2017 to honor students who have dedicated their time and effort to our school and community. 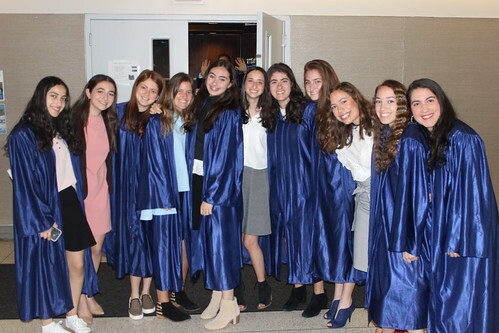 During the program, select students were recognized for their exemplary service to the school and were specially awarded. 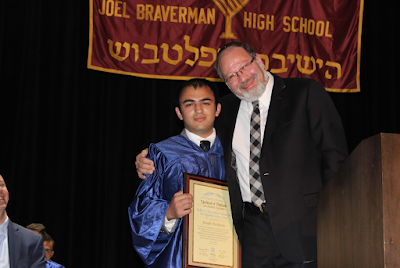 Joey Berkovitz received the highest honor by receiving the Rabbi Dr. David Eliach Award for Distinguished School Service and Michael Franco (HS '13) received the Donna Becker Memorial Award for Tutoring for his dedication to helping current students academically. Amanda Heskiel was given a special recognition award for her commitment to Israel. 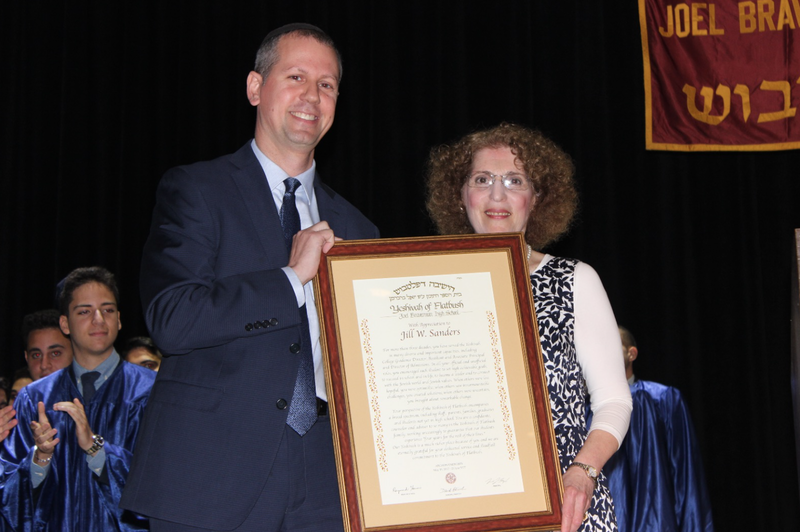 Ms. Jill Sanders was also recognized for her many years of commitment and dedication to our administration, faculty, and students. This year's yearbook was also dedicated to her. Finally, the new SGO was inaugurated with the passing of the binder from the old SGO. 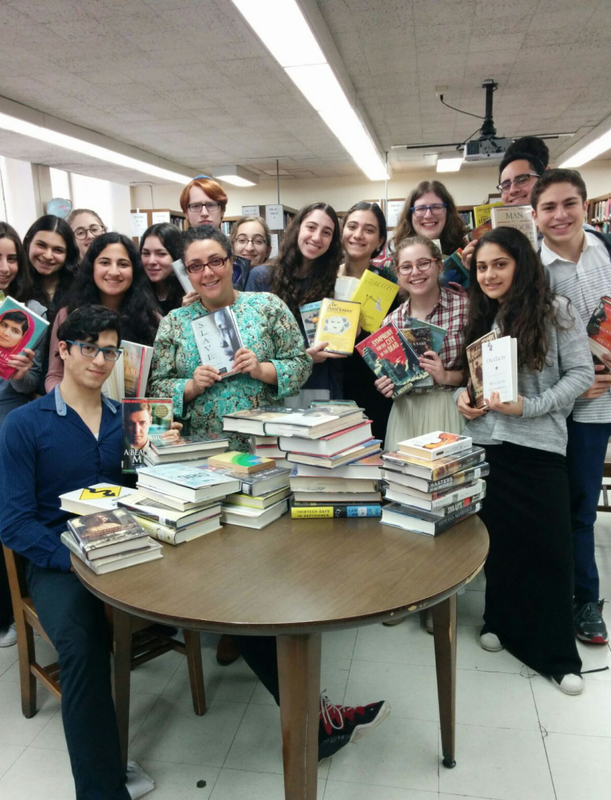 Flatbush students always go above the call of duty to help their fellow students and their communities. The Archon Exercises are a great way to recognize and honor our students. On a recent Friday I went on a trip to tour The Ludlow, an apartment building in Manhattan, as part of an NYU Real Estate Program offered by the Yeshivah of Flatbush Pathfinders Program. While touring this building with some of my classmates, my professor Eric Stern along with the property manager explained the complex components, financials, and logistics of managing this 200-unit building in the heart of a booming neighborhood. Tying in the core concepts taught in class I was able to have a clearer understanding of how real estate works in real life. The building was also under construction and it was interesting to see how all the construction comes together to really enhance the building and its income. Seeing myself in a future working with these buildings, having a real life experience this early on really helps me advance in the career path I wish to take as well as educating me on all its facets. 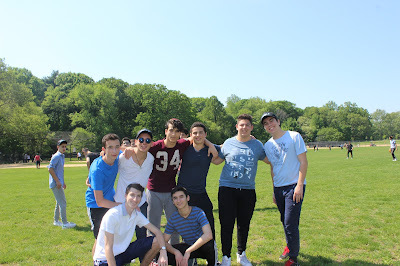 Yesterday, the junior grade went to Prospect Park for the annual Junior Picnic. We started the day in the Yeshivah with an inspirational video by Dr. Randy Pausch about the need to have gratitude and integrity. Then the girls met with Mrs. Wielgus, while the boys met with Mr. Engel about what it means to be a leader and how to be good senior leaders and role models. After this, Senior Council handed out Seniors 2018 hats to each student as we boarded the buses. When we got to the park, we put out blankets down and prepared for fun: sports, barbecue, and relaxing with friends. Junior Picnic was a great way to bond as a grade and build memories. We can't wait for all the activities we are planning for next year! 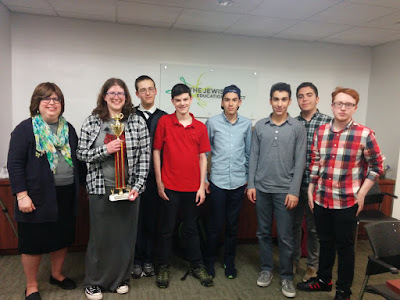 It was a dark and stormy night, Tuesday, April 25, when our intrepid Junior Varsity College Bowl team, champions of the Manhattan Division of the Yeshivah League, comprised of the yeshivot in the tri-state area, went to the semifinal and final games of the College Bowl playoffs. After being treated to a pizza dinner by our hosts at the Jewish Education Project, the team huddled with Coach, Ms. Rachail Kurtz, to discuss final game strategies. 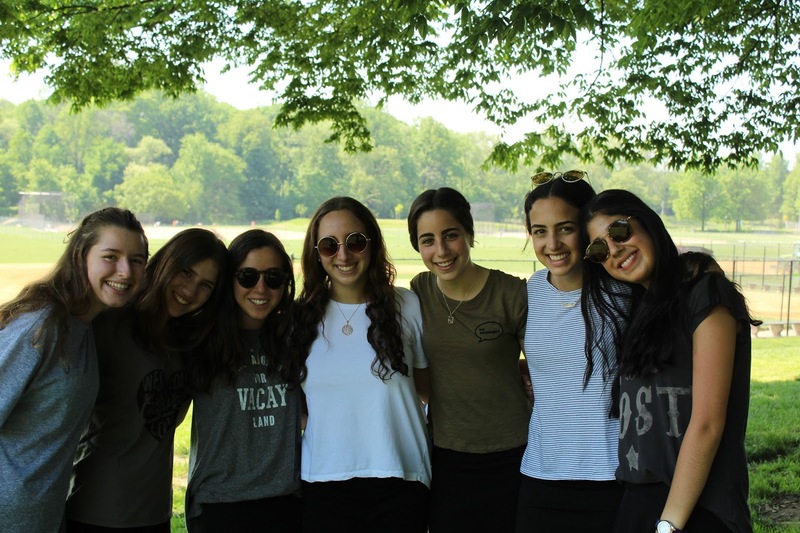 The team, led by Danelle Duchan, entered the semifinals confidently fielding questions in science, history, literature, math and other academic areas, and successfully advanced to the finals. Fellow teammates Moses Bakst, Gregory Pinkhasov, Robert Adler, Aaron Fine, Joseph Setton and Selim Sebbagh all participated in the competition.They finished the final games with a trophy as the number two JV team in the entire Yeshivah League. Congratulations to the College Bowl team for another great year and a solid finish! Yeshivah of Flatbush students participated in the 2017 Youth Business Summit which took place at pier 92 in Manhattan. The Youth Business Summit brings together thousands of rising young professionals and budding entrepreneurs from over 40 countries, educators, school/district administrators, business leaders and industry professionals for a one-of-a-kind global convention. The students are part of Mr. Kweller’s Virtual Enterprise class and have been working all year to create, manage and market their virtual business Office and Beyond, an office supply company. Students have been involved in every aspect of running their virtual business including putting together business and marketing plans, completing financial reports, developing webpages and marketing campaigns, and managing sales and interactions with other virtual enterprise firms. 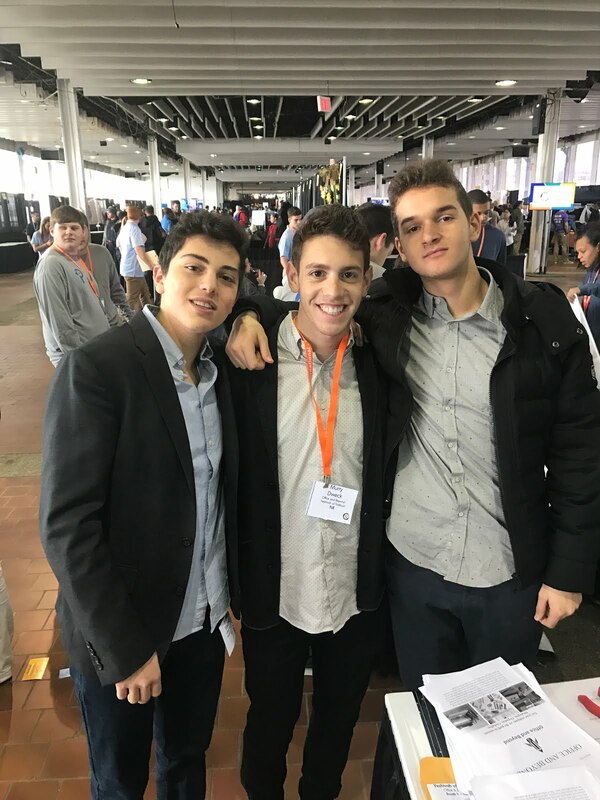 The Summit was an opportunity for students to sell their products and personally interact with other Virtual Enterprise firms from throughout New York City, the United States, and the World. The young entrepreneurs were able to successfully display the professional skills and business acumen they have developed by running a Virtual Enterprise company during the school year. 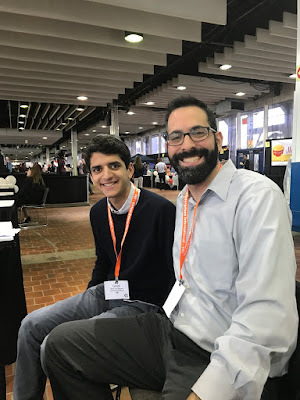 The students enjoyed themselves, learned a great deal, demonstrated their knowledge of the financial industry, and made important connections with the business leaders. 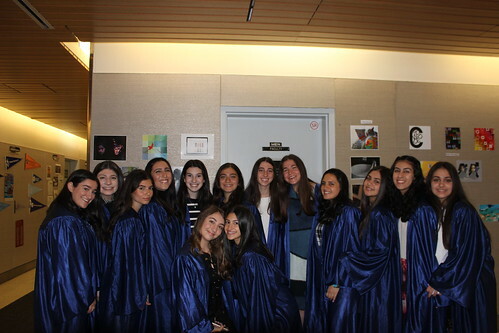 Recently, Yeshivah of Flatbush students had the opportunity to show off their musical talents to fellow students during lunch. Students performed a wide variety of musical pieces in the Music Room for all to enjoy. Pesach Packaging is one of the many cheseds that the Yeshivah of Flatbush students take part in. 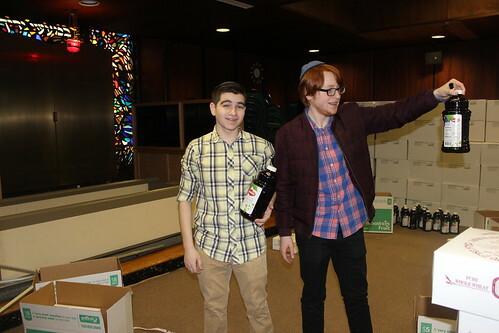 Rabbi Besser along with faculty, students, alumni, and parents helped deliver food to those who don't have on Pesach. 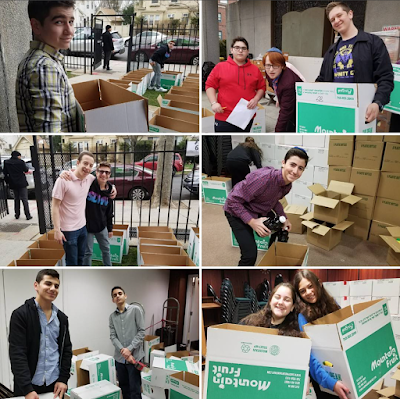 Yeshivah of Flatbush and its partner, COJO, helped deliver food to over one hundred families before the Pesach holiday. 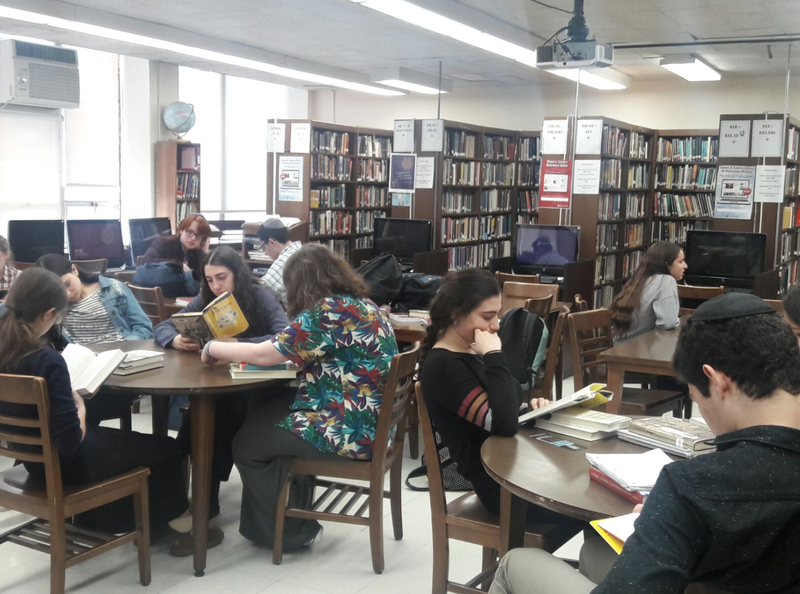 On April 4th, the Yeshivah of Flatbush Joel Braverman High School Choices Commission visited the elementary school to talk about transitions with the 7th and 8th grades. The two programs were kicked off with a panel of students each giving a brief description of their own personal growth experiences and overcoming challenging situations. The Choices commissioners then answered questions about changes the students will face as they enter their teenage years. Topics such as the importance of kindness in friendships, maintaining good reputations, resisting peer pressure and finding your true identity were addressed. The 7th and 8th grade students were bursting with questions and remained engaged throughout the discussion. 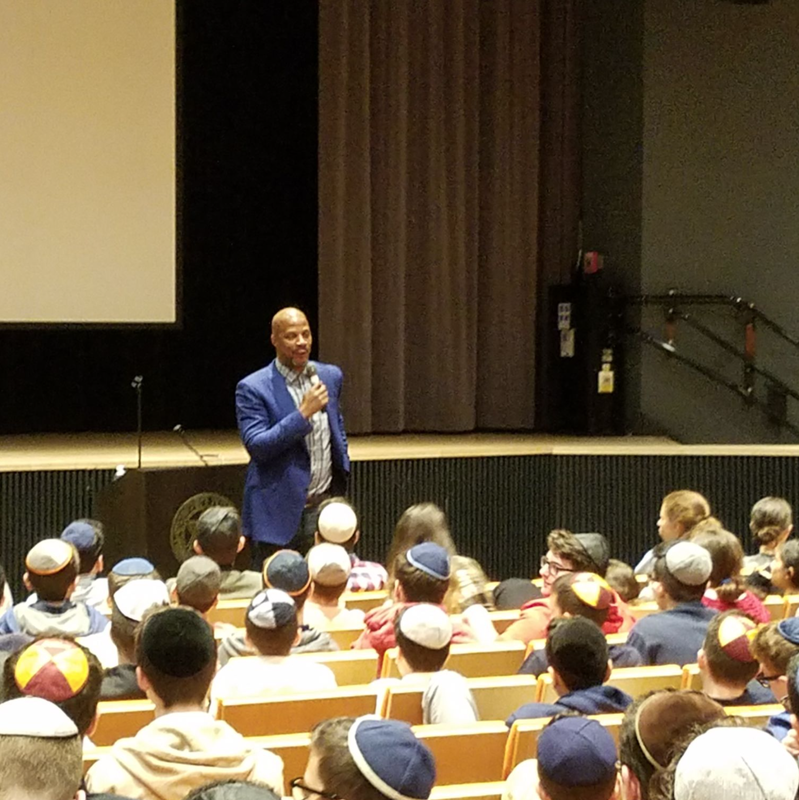 Recently, Darryl Strawberry addressed Yeshivah of Flatbush Joel Braverman students and faculty with his personal story of overcoming challenges. Make something of yourself, pull yourself up from somewhere low, be good to people, connect with G-d: these were some of the messages we heard from this inspiring baseball icon. Darryl empowered our students to believe in themselves, take action in shaping their experiences, and remember that no obstacle is too great to overcome. He took the time to answer questions from some of our students, to sign baseballs, and to take pictures with us too. Thank you Darryl- we were fortunate to have you with us! 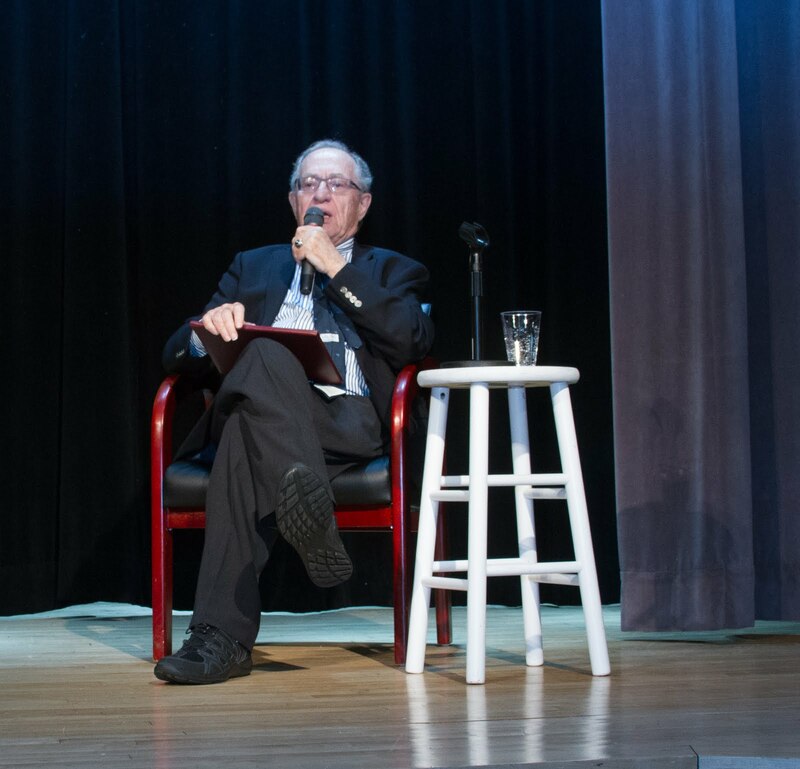 On April 4, 2017 the Yeshivah of Flatbush Joel Braverman High School had the honor of hosting esteemed lawyer Professor Alan M. Dershowitz of Harvard University. 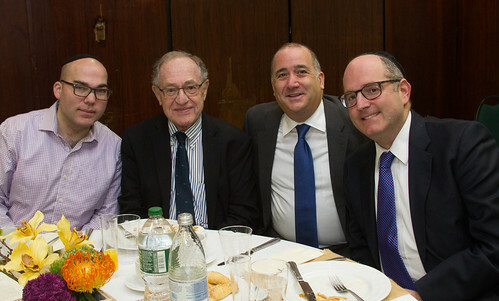 Dershowitz, a graduate of Brooklyn College and Yale Law School, joined the Harvard Law School faculty at age 25 after clerking for Judge David Bazelon and Justice Arthur Goldberg. He has also published more than 1000 articles in magazines, newspapers, journals and blogs such as The New York Times Magazine, The Washington Post, The Wall Street Journal, and The Harvard Law Review. 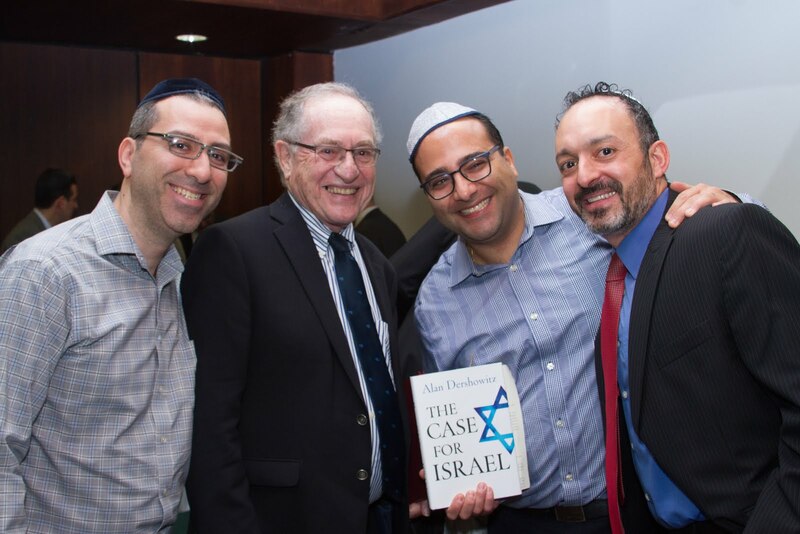 Professor Dershowitz is the author of over 30 fiction and non-fiction works with a worldwide audience, including The New York Times #1 bestseller Chutzpah and five other national bestsellers, including The Case For Israel and My Life in the Law. Dershowitz spoke to all of the students about the problems facing the State of Israel on campuses and around the world and gave them insight on how to combat these issues. As “Israel’s single most visible defender” he explained how he was encouraged to support Israel while inspiring the students to follow in his footsteps. A panel of Israel advocacy students engaged Dershowitz with stimulating questions regarding the situation in Israel. After this event, Dershowitz left us all with a renewed drive to support the State of Israel. 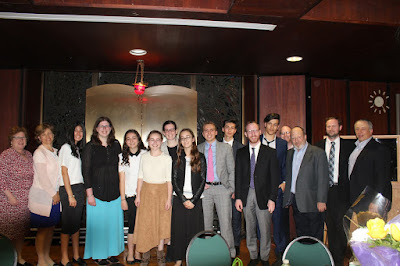 Irving Safdieh, the president of Th​e Sabra Institute​​​ can to speak to Yeshivah of Flatbush juniors about this fantastic program that educates and empowers high school students with the facts and skills necessary to not only push back against the hateful rhetoric being spread on campus, but to also proactively and effectively advocate for Israel. 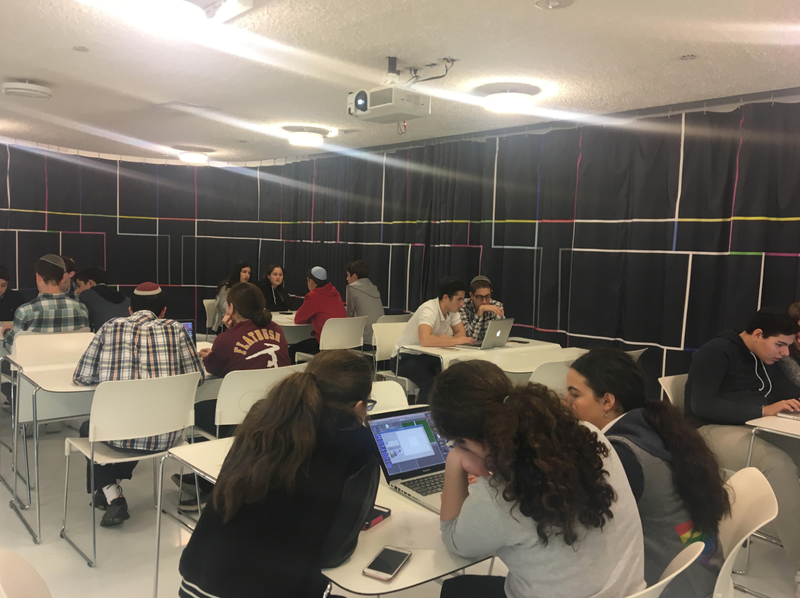 The goal of the program is to train high school students to combat the aggressive and bigoted anti-Israel activity that ​we will be facing on college campuses and beyond. 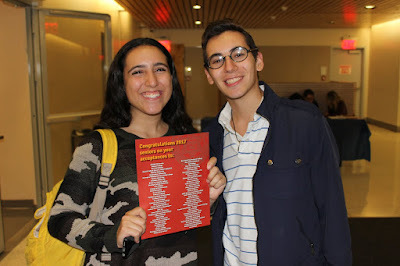 Many of my peers feel intimidated, targeted, isolated, and demonized for ​supporting our homeland​ thanks to the ​ongoing contentious efforts of anti-Semitic​ groups (such as Students For Justice in Palestine, Jewish Voice for Peace, and the Boycott, Divestment, and Sa​n​ctions movement​) found on the college campuses that we plan to attend. On March 23rd and March 30th Yeshivah of Flatbush students met to compete in the final rounds of the Moot Court Competition. The students had been researching legal issues, studying case law and refining arguments in preparation for the competition. Each team consisted of a lawyer, witness and researcher /fact checker. 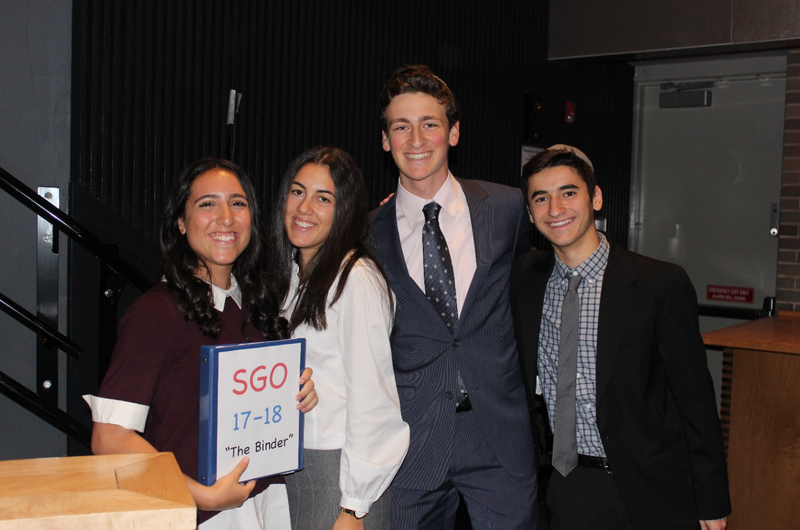 The teams were responsible for working as a group and putting together a winning strategy that would convince the judges of the merits of their argument. This year’s case revolved around the issue of false imprisonment and the justification of a shopkeeper to detain and search a suspect suspected of shoplifting. 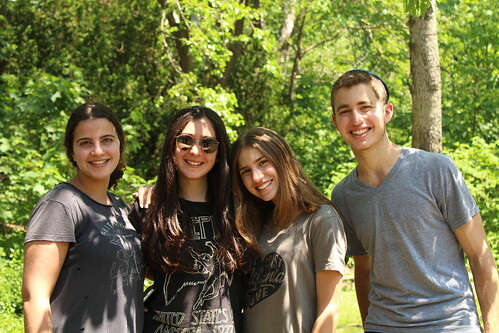 The competition was close but in the end teams comprised of Bella Douek, Dani Aiash, Fernanda Mosseri and Ronnie Menashe took first and second place respectively. Students greatly enjoyed the opportunity to experience some of what real lawyers do every day and look forward to competing again next year. 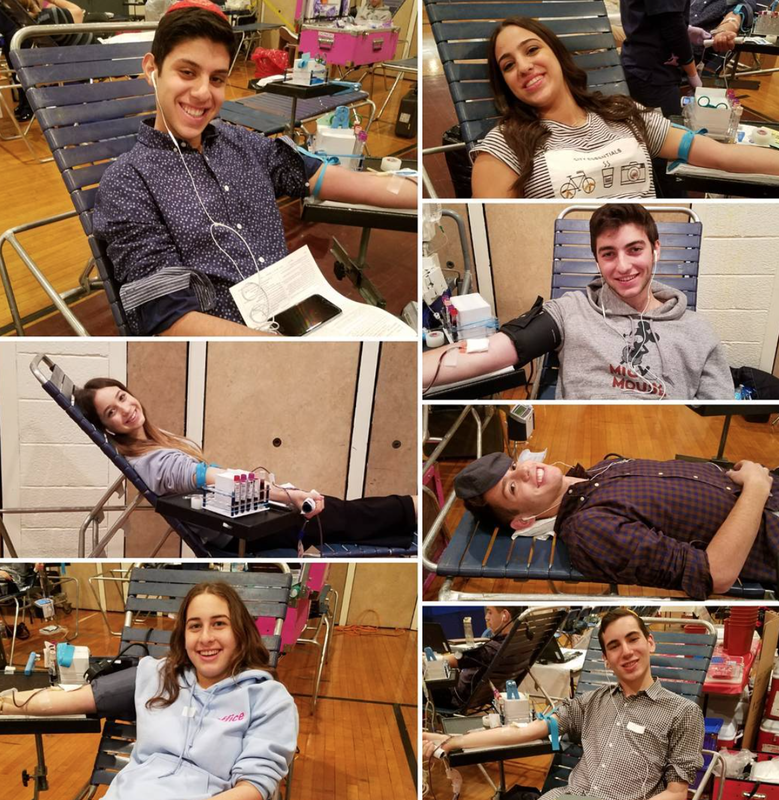 A special thanks to the students organizers: Shelley Khabieh, Bella Feldman, Aida Hasson, Rose Ftiha, Marry Ftiha, Alan Mograby and Joey Massre and faculty advisor Mr. Leor Kweller. 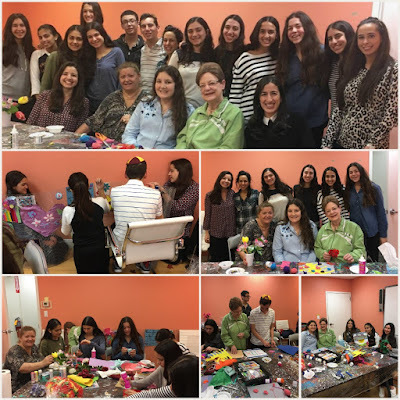 On Tuesday, March 28th, a group of 15 Yeshivah of Flatbush sophomores and juniors visited the Morris I Franco Cancer Center of SBH to continue an artistic collaboration with clients of the center. Students were accompanied by Ms. Eva Dayan, Dr. Etty Mizrahi, and Ms. Leah Bodner of the YOFHS Guidance Department. Joining together in creating a tapestry allowed individuals the chance to unite in creating a physical portrayal of the bonds of community. We look forward to viewing the final piece on display during the Cancer Center's annual art show, scheduled for May 8th. Thank you to the Cancer Center and Dayna Fleisch, art therapist, for welcoming us and helping us see how we are all connected in our own unique ways. 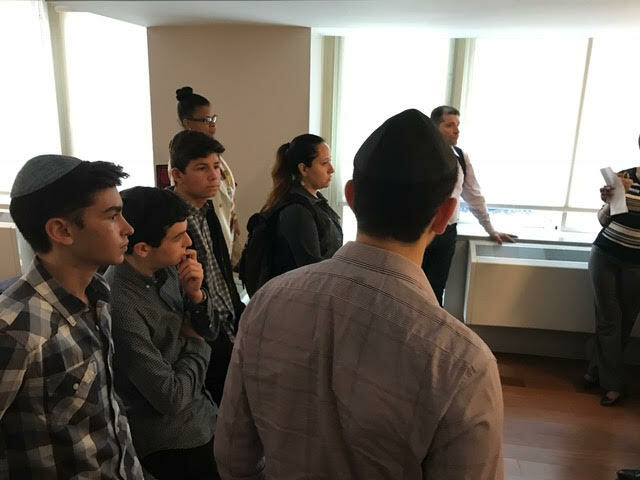 Yeshivah of Flatbush students recently had the opportunity to visit the Museum of Moving Images through our Pathfinders Program. The students were able to learn about the creation of motion pictures by getting a glance at the detail of sound and special effects. After the tour, the students got the chance to create their own video games and add their own special effects. 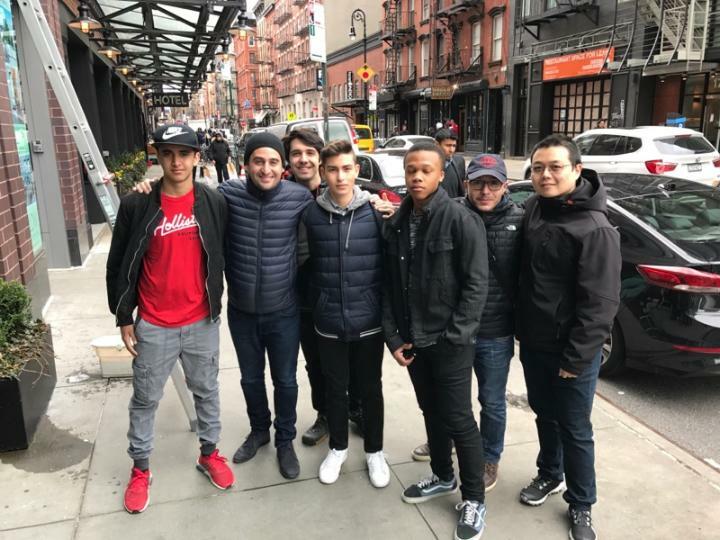 This was an amazing opportunity for students interested in the Film and Video Gaming Industries.